Freckles to Toes: What Exactly Does Organic Mean? What Exactly Does Organic Mean? Organic isn't quite as simple as it sounds. Most people think it just means that a crop is grown without the use of pesticides. However, "Certified Organic" covers a lot more than just pesticide use. If you are thinking about whether you should spend more on organic skincare, or whether eating organic food is worth it, taking a look at what the term "organic" covers will probably clear some things up for you. Organic crops are produced without using most conventional pesticides (this must be done for several years before crops graduate from the title "pesticide free" and can be called "certified organic." ) Organic crops are grown without fertilizers made with synthetic ingredients (such as petrochemicals) or sewage sludge. The label "organic" also means the crop has not experienced any bioengineering (this means no GMOs) or ionizing radiation. Organic meat, poultry, eggs, and dairy products come from animals that are not given antibiotics or growth hormones. These animals must be given organic feed and given access to the outdoors. Organic means you will lower your exposure to carcinogenic pesticides. But it also means animals experience more humane treatment. 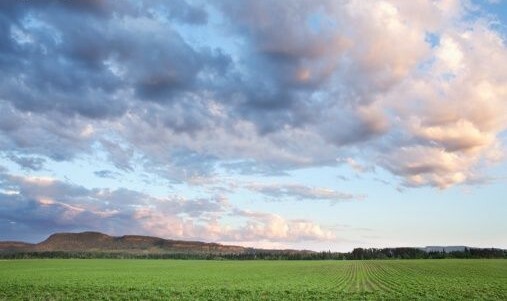 The elimination of petrochemicals also improves the environmental impact of the crop. But organic anything is expensive. Just from a glance at the veggie section in your grocery store you can tell. As a starving grad student, I'm all too aware of this. But compromises exist. Cheaper alternatives carry the label "pesticide free." While this doesn't mean anything about the fertilizers and petrochemicals used, it is a step up. Also, buying non-organic fruits and vegetables with thick peels or shells are safer because you don't eat the area of the food that was exposed to pesticides; think crops like bananas, oranges and melons. Some food for thought: do you know why organic is expensive? Organic farmers aren't subsidized by the US government, while non-organic farmers are.